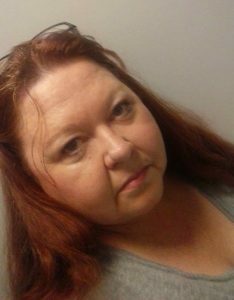 The body of Vicky Denise Liverett Howton, 53, was discovered Friday afternoon, August 31, in an unoccupied house at 1630 9th Avenue. Reportedly she had previously lived in the house and it was used to store household items. 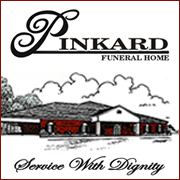 Her body was removed by members of the Haleyville Fire Department and sent to the Alabama Forensics Lab in Huntsville. 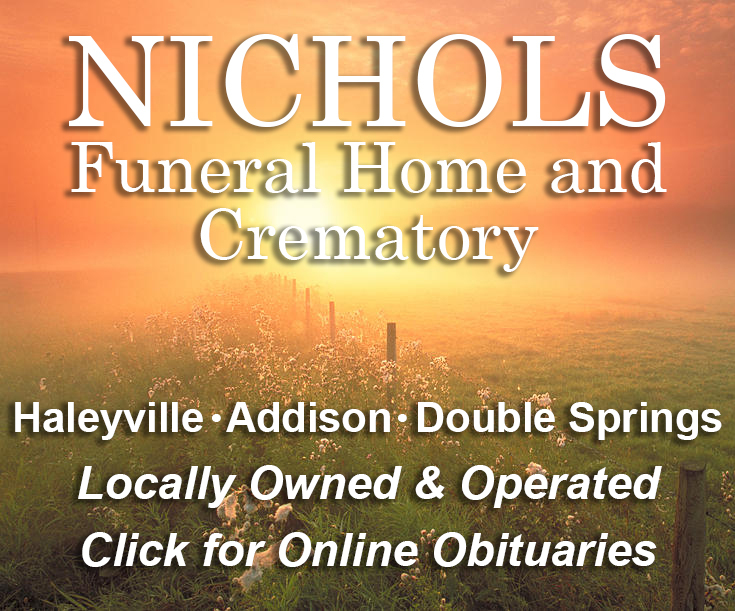 On Tuesday afternoon, the preliminary report was returned to the Haleyville Police Department which stated she did not die of natural causes. Haleyville Police Investigator Tim Steien went back to the house to recover items to take to the lab as part of the investigation to determine what and who caused the death. Vicky had three children, two girls, and a son, who had placed missing posters around town earlier in the week. 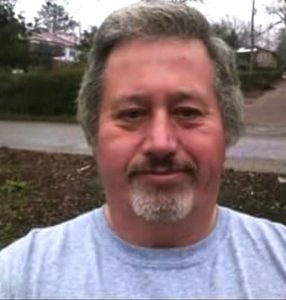 A man from Mississippi, Randall Walker, who Vicky had met online had been living with her at another house on 9th Avenue is presently being sought in regards to her death. Reportedly, family members had tried to contact her since Sunday, August 28. At first, Walker gave excuses as to why she could not be contacted. Communication with Walker ended on Wednesday. The body was found on Friday. He was last seen driving a gold or beige 1999 Ford F-150 long base, single cab pickup with a Mississippi handicap tag B4198. 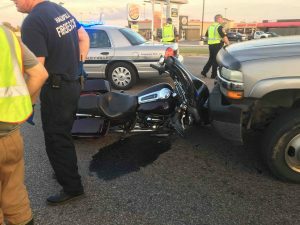 Tuesday, September 4 – A late afternoon crash in front of Walmart on Highway 195 resulted in the rider of a motorcycle, William McCullar being transported to Lakeland ER with non-life threatening injuries. The driver of the pickup stated he was turning left into Walmart on what he thought was a green left turn signal. The bike and truck met head-on with the McCullar ending up on the hood of the pickup. Haleyville Police investigated. Tuesday, September 4 – 11 a.m.-The Haleyville City Council met Tuesday (instead of Monday, a holiday) with Drew Thrasher absent. The Council met early, 11 a.m. in order to meet the deadline for certifying the city school board election by noon. Three resolutions were also approved. The first states the City of Haleyville will enter into a partnership with the Coach Safely Foundation to provide mandatory training required by the Coach Safely Act and to promote awareness of youth athletic safety and enhance the youth athletic experience in the City of Haleyville. The second approves a revolving loan for $150,000 through the Northwest Alabama Council of Local governments, (NACOG), for resurfacing roads in the Haleyville Industrial area. Specifically, the Old Hamilton Road from SR129 to 5th Street, used by Ridge Pointe Manufacturing, Alabama Avenue from SR129 to Dolphin Road, used by Mar-Jac Poultry and Winston furniture, and a section of Boar Tush Road from the railroad crossing to Sam Letson Industrial Road, used by all industry in the South Industrial Park. The third approved the results of the election on September 4 for the two seats of the School Board. Barry Burleson and Chad Tidwell both received a majority of the votes for seats 2 and 3 respectfully and will assume their seats at the meeting of the Board in March 2019. The next scheduled meeting of the Haleyville City Council will be on Monday, September 17, at 5:30 p.m. at the Haleyville City Hall.